At TuitionFocus, we want to help keep things as simple as possible in the approach to planning for college: Especially at the “Start” or “Re-Start”. Not always easy, as students and parents have lots of information provided and accessible, which sometimes leads to overwhelm and inaction. We want families to have a plan that helps them use information to actively implement strategies. One strategy families can implement is Test Prep. The on-going debate about standardized testing aside, colleges will use SAT and ACT scores in making Admissions and Scholarship decisions. Because of this, TuitionFocus from Family Wealth Partners has partnered with First Choice College Placement to provide premier Test Prep access at discounted prices as an option to explore. Below are some observations from First Choice that may help families take more action. As parents, our goal is to teach our children how to make good decisions. When the time comes, we have to trust that we have raised them well and given them all the tools that they need to make those choices themselves. 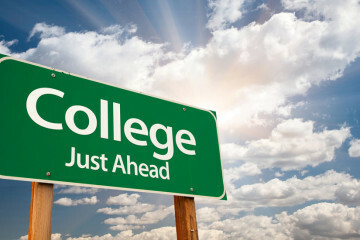 Many parents ask me, “How do I get my kid to choose the right college? How do I make sure they do the right thing?” I always hesitate to give parenting advice – my personal parenting mantra is “therapists need work too” – when there probably is no parenting choice that couldn’t end up in counseling! So, instead of giving a list of SAT prep tips for parents, allow me to share my observations of the families who (in my experience) have most successfully navigated the test prep and college selection process. Observation 1: Students aren’t always the most organized people. – Parents can help. The college process involves a series of important tasks with hard deadlines: registering for the SAT or ACT, requesting letters of recommendation, submitting early or regular applications, filing financial aid forms, etc. Meeting these deadlines is critical. This is where parents can really help their students! Help organize these deadlines, choose a system for tracking progress, and set up a way to get reminders about the deadlines. When it comes to registering for the SAT or ACT and submitting financial aid forms, parents are the best people to complete these tasks. Don’t leave them to the students. Here is a list of upcoming test dates and registration deadlines. Observation 2: We can’t want the student’s scores to increase more than the student does. As a coach, one of the most frustrating experiences is having an athlete with tons of potential who doesn’t seek to maximize it. Athletic success and academic success both require one common element: hard work. Hard work isn’t something that you can do for your student. You can tell your student to sit down in front of that piano for hours a day – but you cannot make them work hard to improve. Students have to own the process in order to improve. So parents should be realistic about their students’ level of motivation when thinking about reach goals. The best parent-student teams focus on the things that motivate the student, and try to let those motivations guide the college process. Observation 3: There are plenty of schools where a student can be happy and get a great education. Unfortunately, some students approach the process like they are searching for that needle in a haystack. Out of the over 2,000 four-year colleges, they feel that is only one or maybe two schools that would work for them. The reality is, that’s not the case. There are many places where a student can get a great education. Students often need to expand their search beyond the usual suspects that everyone is applying to. The goal should be to find the right school for the individual student – not the school that hits the top of everyone’s list . Observation 4: The money talk is never easy, but it is best to have it early. It is important to know what you can afford to pay and how that compares to what the government and schools are going to expect you to pay. Often these are very different numbers. You wouldn’t go to look at houses to buy without first figuring out your budget, and it’s important to think about this with the college process as well. I recommend you determine your Expected Family Contribution early, and use the Net Price Calculator on a few of the colleges to determine if you can make them work for your budget. If you cannot pay what the schools are saying that you can pay, then you will need to look for colleges that offer more merit scholarships (the average discount nationwide is nearly 50%). While it is never easy to tell a child that you can’t afford to send them to his or her dream school, if you have this conversation early, then you can research some possible alternatives. Don’t wait until they have already put a lot of time and effort into the process before talking to them about finances.